I always thought that living with a mental illness was the hardest thing I ever faced in my life, but coming out was just as hard. I struggled to discover who I really was and what I wanted. Was I bi-curious, bisexual, or lesbian? It was all too perplexing. Coming out of the closet exacerbated the severity of my mental illness. I wondered if God loved me even though I was bisexual. I struggled to be accepted by my religious mother. My life sprawled out of control when my boyfriend was shot and killed in Compton. I began to self-medicate with alcohol to cope with his death. His name was Andrew (R.I.P), and he was the one who first noticed my bi-curious tendencies. He used to tease me and call me bi-curious, and he could see right through my bisexual denial. When he died I started dating a guy, Frankie, who made me feel used. I wanted his comfort and love more than anything. I always imagined my life to be like a fairytale. I wanted my prince charming to look in my eyes as if I was the fairest one of them all, but life is never a fairytale. The real fairy tale is in our hearts, our souls, and our desire to never lose hope. No matter how bad life gets, hope is what keeps us alive and gives our life meaning and enfolds the beauty of each day, even the painful ones. I decided to go on a quest to discover my true sexual orientation. That night, I went to a local gay bar, CHICO. I went alone and started flirting with a butch lesbian, Leslie. I was strangely attracted to her, even though I thought her nose was too big. While ordering drinks at the bar she turned and kissed me. I felt like the Katy Perry song, “I kissed a girl and I liked it.” From that point on Leslie and I started dating. However, it was a dysfunctional relationship. We ended up going our separate ways. Coming out of the closet was harder than I had thought it would be, and gay relationships weren’t any easier. I was partying at CHICO every weekend, self-medicating with alcohol, and fell deep into the heart of depression. The only time I didn’t feel pain was when I was asleep or drunk. The suicidal thoughts began to overwhelm me. I fantasized about suicide. I imagined a dramatic suicide like Daisy from Girl Interrupted. I wanted to be found dead hanging from a rope by all those who hurt me. I had sick twisted thoughts. The severity of my mental illness was exacerbated when I faced homophobia where I least expected it-at work. I was working for a health care corporation at an adult day health care center. I felt so depressed. I had gone to gay pride and thought, I should just be proud of who I am, a beautiful bipolar, bisexual woman. I bought a rainbow bracelet and decided to wear it every day, even at work. The first day I wore it at work, the administrative assistant yanked it and said, “What is this? Are you gay or something?” I responded, “That’s a personal question.” She wobbled away in her heels. The next day I noticed something different about the staff: they all knew about my sexual orientation, and suddenly it wasn’t about team work anymore. By that Friday my co-workers had filed ten complaints against me. They were ridiculous. They said things like, “She looks tired.” “She is not creative enough” and “She was four minutes late.” They were trying to get me fired. Although I filed a complaint with Human Resources, I became suicidal and impulsively quit my job. I hit rock bottom. I lost everything–my job, my car, my apartment. I was living in the depths of poverty and was at risk for homelessness. I didn’t have money for food or milk so I used coffee in my cereal. My greatest support through all of this was my beloved girlfriend, Caylee. She was my world and saved me in every way possible. She helped me cope with the severity of my depression and psychosis. She saved me from becoming an alcoholic, and she saved me after my manic shopping sprees caused me to go bankrupt. She paid for my bankruptcy lawyer. I proposed to her, and it would have been an honor to call her my wife, but then tragedy struck. Caylee was diagnosed with untreatable lung cancer. I thought: If she dies, I will kill myself so we can be together forever in Heaven. One depressing night I recorded my suicide note on a web camera, and overdosed on my medication. A friend found me; I was unconscious. She called 911 and saved me. I realized my life was a miracle. Every time I tried to end it, somebody saved me. I was tired of hurting those around me, and myself, over and over. I felt like a hamster running on a wheel, and going absolutely nowhere rapidly. And so I decided to stop that cycle and fight—for my life, for my loved ones, and to live and embrace life to the fullest. I decided to end my self-destructive behavior and just live, at last. I would live to survive and to move forward. I would not let my mental illness destroy my life. I thought to myself, “Damn it, Mari, just love yourself, and love your life! So many people love you. Why can’t you just love yourself?” The day I survived suicide was the day I decided to love myself just that little bit more. I suddenly had a revelation. I had taken my life and everyone in it for granted for 29 years. Almost losing my life made me finally appreciate those around me: my mother, my family, my friends. It was now my time to appreciate life, loved ones, and myself. It was my time to be reborn and leave the pain of my past in the past, get out of the dirt, and climb out of depravity. It was my time to love myself enough to want to live one more day, one more week, one more month, one more year, one lifetime. I started living day to day and as the days, weeks, and years passed, my sorrow was transformed into abundant happiness, and that was only the beginning of my beautiful life. Surviving the worst suicide attempt of my life made me decide that I would not let a mental illness destroy me. Hope came when I least expected it. I had a lot of support, was a patient at the Los Angeles-County Department of Mental Health, and had an amazing psychiatrist and case worker who believed in my recovery. I attended a Bipolar Depression and Support Alliance (DBSA) support group in my community. I had a lot of family support, especially from my mother. My best friend, Joel, stuck strongly by my side for a rollercoaster ride of ten years, and helped me in my recovery. My church helped me a lot, too, in my spiritual journey. Father John from Miraculous Medal always made me feel cared for, and he never judged me. My church welcomed me with love and kindness. My faith in God gave me the strength to get through each day. I found love in God’s mercy. Then God blessed me with the greatest gift of all, my service dog. I needed a companion–a dog to help me cope with depression. Relationships can fail but a dog is your loyal best friend. I went to an animal shelter on National Dog Day and there was nowhere to sit. I thought how much longer do I have to wait. Then it happened. A pregnant woman with flip flops walked in with a dirty, fluffy, traumatized dog that looked sick. She said, “Where do you drop off dogs nobody wants.” I walked up to her and pet him. 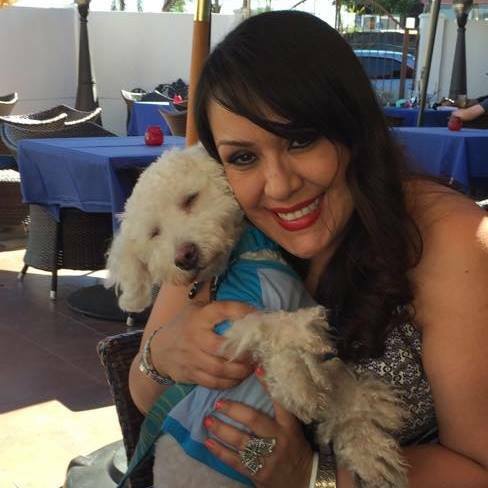 I smiled, “I will take him.” I adopted Gypsy Blue to help me cope with my symptoms, and so really Gypsy Blue saved me. My friend Rebeca said that Gypsy Blue and I rescued each other. Gypsy Blue is my world. He is my baby. Just taking Gypsy Blue for a walk or having him sleep in my bed gave me comfort. He was my emotional support dog. I even registered him with the United States Service Dogs. My psychiatrist wrote a note that stated that he was my emotional support service dog. He has a vest and I can take him everywhere-the grocery stores, banks, restaurants and any business. Gypsy Blue gave me life again. It took five years to recover from my bipolar episode of depression, but I did it. Living with mental illness propelled me to dedicate my life to helping others like me. I was a Los Angeles County-Department of Mental Health patient for ten years, and I received excellent mental health services on my journey of recovery. Now I am working there. I am a Medical Case Worker on the Prevention and Early Intervention team. I am on the other side of the glass and truly have a passion for what I do. I love helping people. Helping people helps me. That is part of the recovery model. On my personal time I volunteer as a Mental Health Recovery Public Speaker. I am dedicated to building public awareness and decreasing the stigma associated with mental illness. I also kept a journal of my life since I came out as bisexual and in August 2015 published my memoir Beautiful Bipolar Bisexual. I just want to express to all those living with mental illness and who are LGBTQ, that there is life after mental illness. There is life after coming out and it is absolutely beautiful. Never give up or lose hope. Seek help. Getting help is a step toward hope and recovery. Also, check out KRL’s Mental Health section for more mental health related articles. 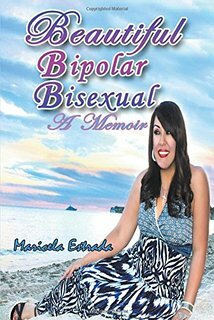 Maricela Estrada is the author of Bipolar Girl: My Psychotic Self and Beautiful Bipolar Bisexual. She earned a Bachelor of Arts in Communications from California State University Fullerton. 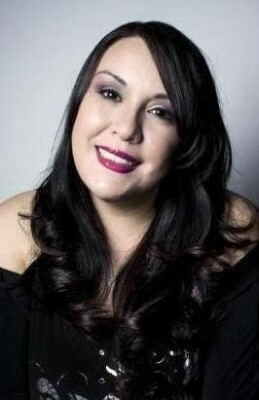 She works as a medical case worker for the Los Angeles County Department of Mental Health. She works on the prevention and early intervention team. She is a mental health recovery speaker, dedicated to raising public awareness and decreasing the stigma associated with mental illness. She received the National Alliance on Mental Illness (NAMI) Outstanding Peer Award for the NAMI conference in August 2015. Living with mental illness propelled her to dedicate her life helping others and serving the community. You can learn more on her website.